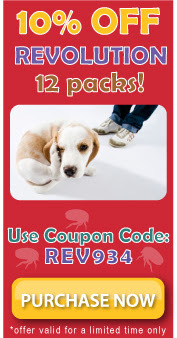 Keep your pet's free from flea infestations by remembering to keep on top of your monthly flea treatments. Now is the time to shop for Revolution for cats and Revolution for dogs, with our limited time 10% off 12 packs sale. Don't miss out!